What are the prerequisites for learning SharePoint? To Learn Sharepoint Click Here! 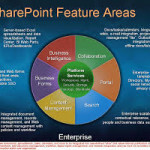 ASP.NET/C#: SharePoint 2010 is completely built on ASP.NET 3.5 whereas SharePoint 2007 is built upon ASP.NET 2.0. So, if you know basic ASP.NET 3.5 features then you get better ideas in implementing SharePoint 2010 coding and better understand concepts. SQL Server: This is very important to know as SharePoint A-Z stores in a database only. Windows Workflow Foundation: There are workflows in SharePoint which is used to solve business process problems. To create the workflows either in SharePoint designer or custom workflows you should have an idea of WWF. XML/XSLT: I can say everything in SharePoint is XML. So, if you are strong in XML then you rock. XSLT is applying styles for XML. Internet Information Services: You have to know what IIS is and how it works. BigClasses is one of the best online training organizations offer Sharepoint training. We have qualified and experienced faculties who are responsible for taking the online sessions. We provide study materials and 24 hours support to our national and international learners as well. If you are interested inSharepoint online training, contact us for the detailed course and the free demo classes.